But — and this is a big but — I believe this perennial knock on science writers deserves greater scrutiny as well. It overlooks the many examples of tough-minded stories that have revealed how individuals and powerful interests have used and abused science in pursuit of private gain. I also believe, based on countless conversations with colleagues over the years, that many science writers would like to try investigative reporting but haven’t done so because they weren’t sure how to start. To break that down a little, you’re revealing something someone doesn’t want revealed. Something that has consequences for a lot of people — which means that “someone” probably is in a position of power. And that means there’s a lot riding on what you publish: it’s not just your subject’s reputation that could suffer but yours too, if your story turns out to be wrong. Even if your story is airtight, you’re likely to be extremely unpopular in certain circles. You might even get sued by subjects with the time and money to drag you through a frivolous lawsuit. On the positive side — and I believe this is a big positive, which is why I wrote this book — you can change people’s lives for the better with these types of stories. And when you make every effort to nail down the facts, and ensure that you have legal protection, you start recognizing blowback for what it is: a sign that your story uncovered something someone would rather keep secret. In the coming months I’ll share tips and insights from the book on this blog to help journalists — at least those with no intention of being perky cheerleaders — treat science with the same scrutiny they would any other human enterprise. 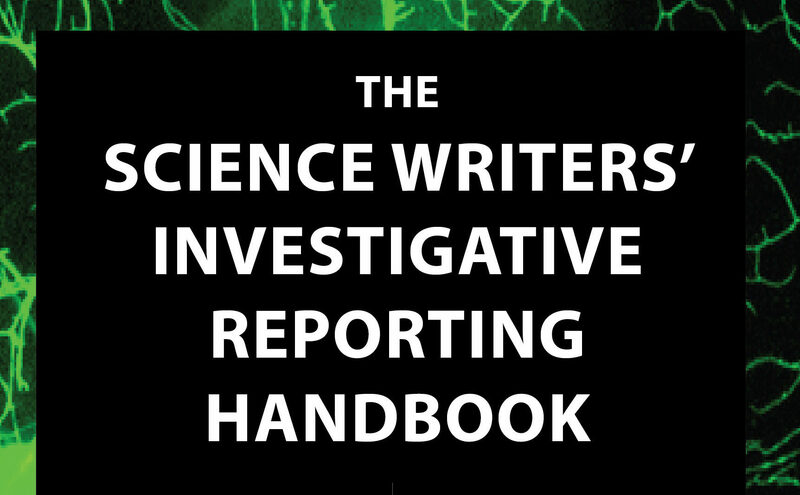 The Science Writers’ Investigative Reporting Handbook is available on Amazon. The other two guides in this series — The Science Writers’ Handbook and Michelle Nijhuis’ The Science Writers’ Essay Handbook — are also available on Amazon. All three handbooks were supported by NASW Idea Grants.